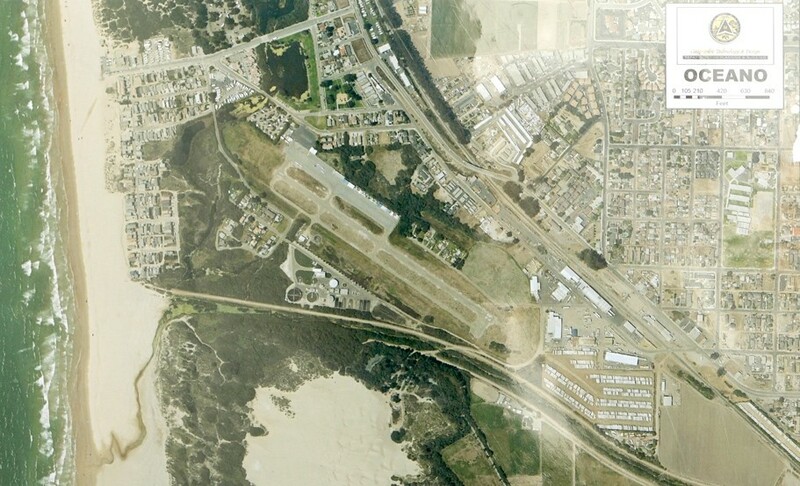 What does Jeff Edwards know about the Oceano Airport that others are missing? IF YOU BUILD IT : Jeff Edwards hopes to redevelop the Oceano Airport into a mixture of residential, commercial, and open space. On March 2, Los Osos developer Jeff Edwards made a pitch to San Luis Obispo County supervisors that still has them scratching their heads. 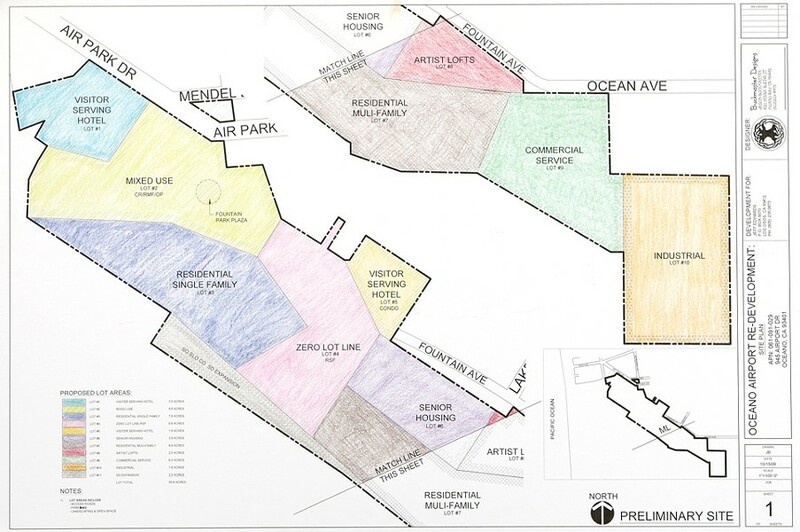 Despite solid bureaucratic and public opposition, Edwards proposes closing the Oceano Airport and redeveloping it for residential and commercial purposes. So far, it’s a pipe dream. Other supervisors echoed Achadjian’s words. Case closed—it seemed. A week later Edwards was back, and then again on March 23, April 13, and April 27. Since that first pitch, Edwards has held two public meetings, bringing in “experts” and hosting discussions on transforming the airport into a vibrant town center in Oceano. Achadjian told New Times his priority has been to make clear to pilots and Oceano residents the airport will not close. Neither he nor Supervisor Bruce Gibson—whose district includes Los Osos—could guess why Edwards continues to hold public meetings. It’s not as though Edwards proposes converting an empty swath of public open space, which itself would be a huge challenge: He’s focused on an airport, to breach the metaphorical chastity belt on land-use conversion. Airport officials, pilots, and the Federal Aviation Administration (FAA) are zealously protective of airport land, no matter how small. SLO County Airport Manager Richard Howell remembered that converting about a half-acre of land from the SLO Airport to a nearby sanitary district took about 10 years—the Oceano Airport is 59 acres. Edwards has so far held two community meetings. Another is scheduled for Aug. 18 at the Filipino Community Center in Grover Beach. “There’s some nominal expenses, sure,” Edwards said. According to county records, Edwards filed for bankruptcy in early 2008. What potential does the land hold? According to Edwards’ rough plans, the land could be converted to accommodate two hotels, multiple-family housing, commercial components, and senior housing. “My concept is to get it zoned, get the master entitlements in place, develop the backbone infrastructure,” Edwards said. One of Edwards’ guest speakers, Dennis Schallengerger, a geotechnical engineer with Earth Systems Pacific, surprisingly spoke against the proposal. Taber practices aviation and airport law in Costa Mesa, with a background in airport closures. In fact, Edwards invited Taber to speak at the first public meeting. “You really have to have the political wherewithal to make this go because it’s not a short and easy process nor is it an inexpensive process,” Taber said. Closure becomes particularly difficult if an airport has accepted funds from the FAA, which Oceano has, to the tune of about $2.3 million. “Once you accept grant money from the FAA, the FAA owns your soul,” Taber quipped, meaning the FAA has to give permission for the closure. How often are airports successfully closed? “Rarely,” Taber said, and typically closures are accomplished only when an airport is a financial wasteland for administrators and the community is in full support. Edwards maintains that there is community support, but it has been buried beneath protests of angry pilots who picketed one of his public meetings. One of his supporters, whom Edwards credits for inspiring the idea, is airport neighbor Larry Bross. Bross said others in the community want to see the land redeveloped, but fear retribution by pilots for speaking up. And the pilots are firmly united in opposition. “No one has said it’s a good idea,” said Jolie Lucas of the Friends of Oceano Airport. With little support and a wall of red tape large enough to blot out the sun, suspicions are high as to Edwards persistence.